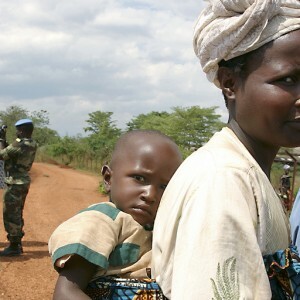 Since Burundian President Pierre Nkurunziza announced that he would run for a third term in early 2015, political instability across the country has tested the limits of global conflict prevention responses. This instability has included a failed coup d’état, violent clashes between government and opposition forces, increasing suppression of the media and civil society, as well as targeted assassinations. The violence has resulted in more than 400 000 Burundians fleeing to neighbouring states and over 55 000 internally displaced, amid allegations of serious human rights violations in the country. Burundi’s instability however appears not to feature the central elements or drivers generally associated with the conflicts of other countries. The presence of transnational organised criminal syndicates has not featured prominently, nor have the influence or proliferation of radical non-state actors. And while the Nkurunziza government has accused regional actors of meddling to fuel conflict in the country, these allegations have remained largely contested. But these efforts have largely failed in the face of the Nkurunziza government’s increasingly rigid and uncooperative position. The government rejected the recommendations of a 2014 joint EAC-Common Market for Eastern and Southern Africa (COMESA) Panel of the Wise, which sought to defuse tensions leading up to the country’s 2015 elections. Nkurunziza further rejected exit plans that were initially offered by Ugandan President Yoweri Museveni through the early 2015 intervention of an EAC-led negotiation process. The Nkurunziza government, growing wary of international scrutiny, has also consistently refused to cooperate with the UN’s commission of inquiry on human rights in the country. The commission’s mandate, as of September 2017, has been extended by a year. Most recently, the International Criminal Court authorised an investigation into alleged crimes against humanity in the country (between April 2015 and October 2017) which came into effect just two days before the country’s formal withdrawal from the court. Rejection, impunity and inflexibility have characterised the Nkurunziza government since early 2015. This has resulted in the incumbent political elite’s continued rule through the suppression of the opposition, beyond the scrutiny of external actors and processes geared towards conflict prevention. The situation directly calls into question the capability and coordination of regional and international conflict prevention actors. Why have international, continental and regional conflict prevention responses been so ineffective? One such question refers to the readiness and fit-for-purpose capability of sub-regional organisations in leading conflict prevention strategies. While the principle of subsidiarity is important, developments concerning Burundi clearly highlight critical shortcomings associated with divergent sub-regional political agendas and interests – and the impartiality needed to establish and sustain conflict prevention processes. Gustavo de Carvalho, peacebuilding expert at the Institute for Security Studies, argues that ‘in light of the UN’s recent prioritisation of conflict prevention, the lack of any clear strategies, implementable plans, concise guidelines and inter-organisational coordination mechanisms to serve this agenda, is becoming an increasingly significant concern’. Opportunities and entry points for greater coordination between the organs of the UN’s peacebuilding architecture, for example, with the AU, EAC and ICGLR should be more coherently pursued. Hopefully this would result in more uniform and effective conflict prevention strategies, over longer-term frameworks. Global actors should consider using their existing conflict prevention approaches to effectively urge the Burundi government to commit to an inclusive peace process – in accordance with its international obligations. Failing to do so would raise serious questions on whether conflict prevention can be effectively implemented in practice. Without the necessary innovation and coordination to make this change, the international community may well have found the limits of its conflict prevention agenda. This ISS Today is a version of an article first published on the Conflict Prevention Innovation website, a partnership between the ISS and the Igarapé Institute.